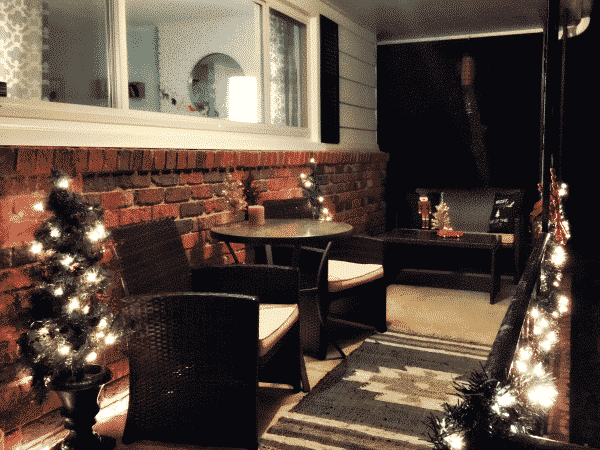 Tis the season for a holiday porch makeover and you know what that means – all the pictures! 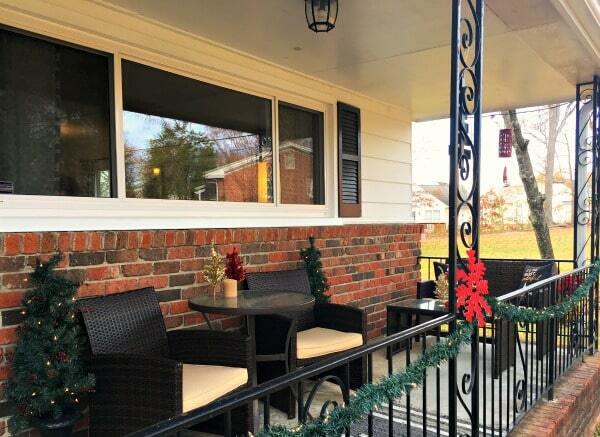 When we bought our home 6+ years ago, one of the biggest selling points for me was the front porch. In our old house, there was only a little stoop with no room for even one chair. 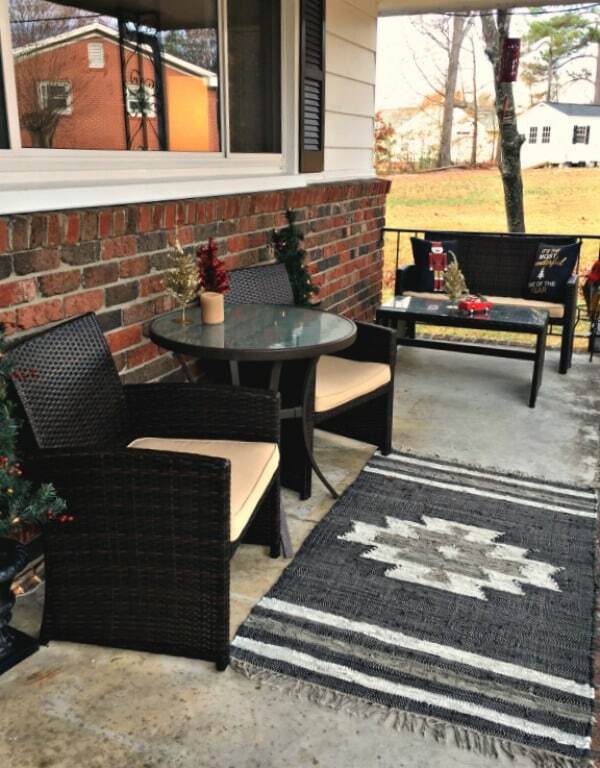 I love sipping my morning coffee outside so when we moved, a comfortable porch was high on my wish list. We’ve been working on our house here and there over the years, but I always wanted to make our front porch even more welcoming. 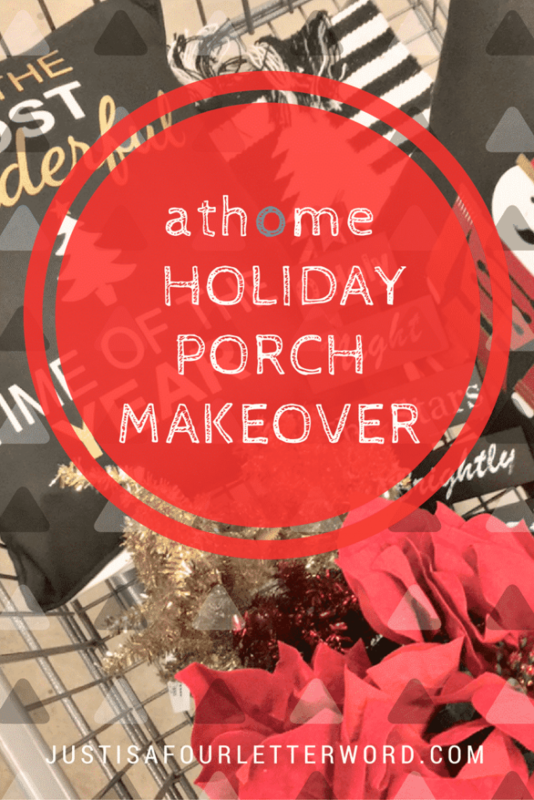 This year, with the help of At Home Stores, I gave our porch a holiday makeover. I couldn’t be more excited! I only recently learned of At Home via social media and when I saw that we had a store just a stone’s throw away, I had to check it out. It’s a beautiful store full of delightful home decor from furniture to rugs to seasonal decorations. This is not an in and out store. I find myself wandering every single aisle! At the end of the summer we replaced the furniture on our porch and I added a rug and pillows (also from At Home incidentally) but really didn’t do much more than that. 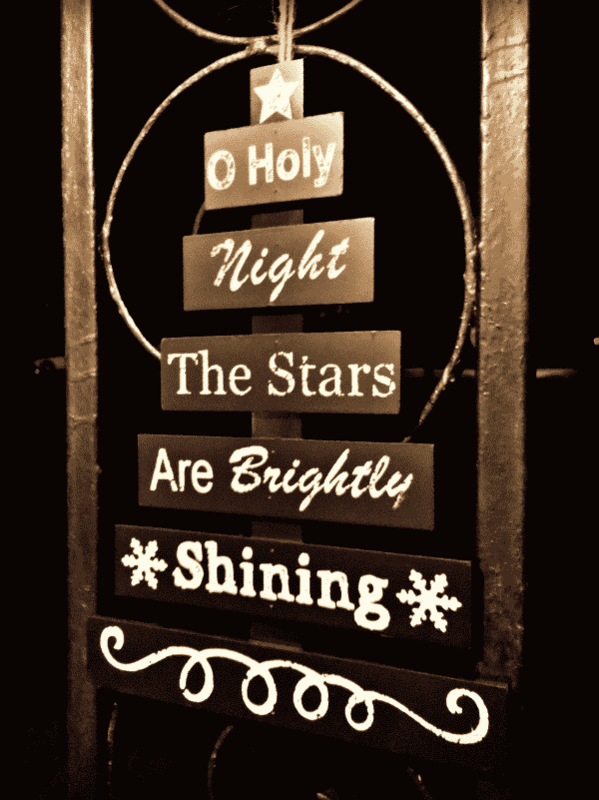 I have a few Christmas decorations but we were mostly working with a blank slate. 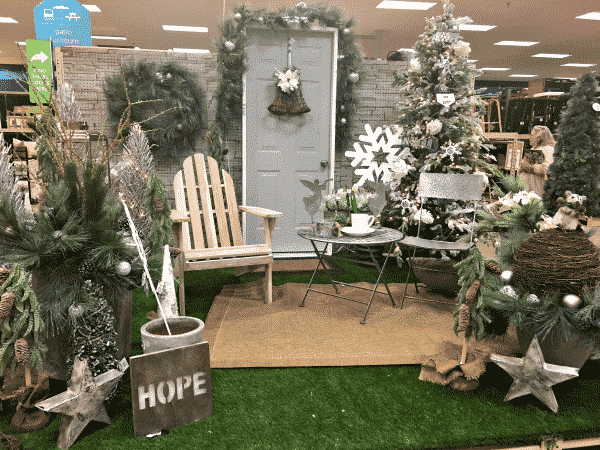 Walking through the store, I was inspired by the creative displays and theming. 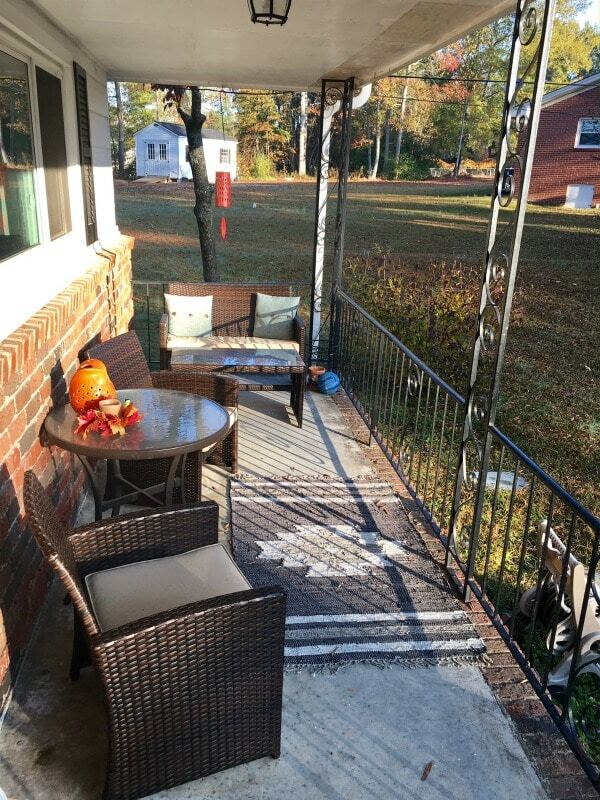 Would our porch be modern or traditional? Would we go with classic colors or something a little cooler? After more than an hour wandering around with my thoughts, I decided on a mix of both modern and traditional because that best describes us as a family. We are super nostalgic and sentimental when it comes to Christmas, but we also love exploring new things and making memories. I happily filled my cart keeping our existing decorations in mind and I couldn’t wait to set it all up! 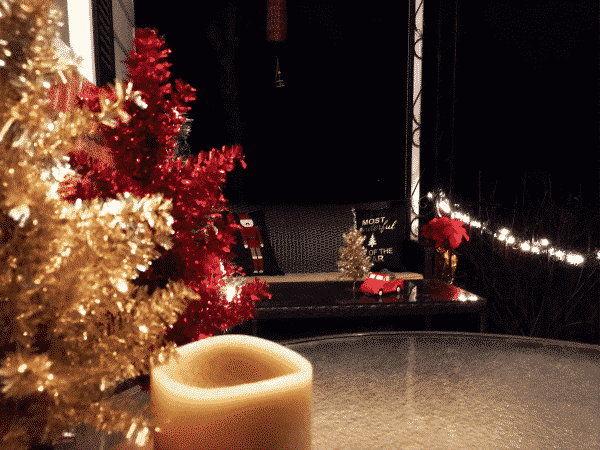 Once I started adding our new decor, I knew our front porch was quickly becoming my favorite “room” in the house. 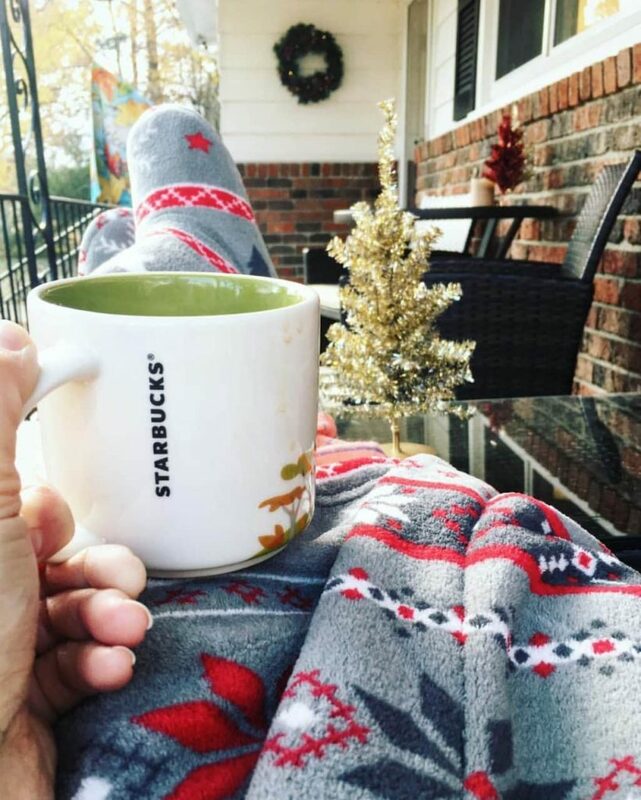 There’s just something about sipping my coffee in my robe when the air is chilly that makes me smile. 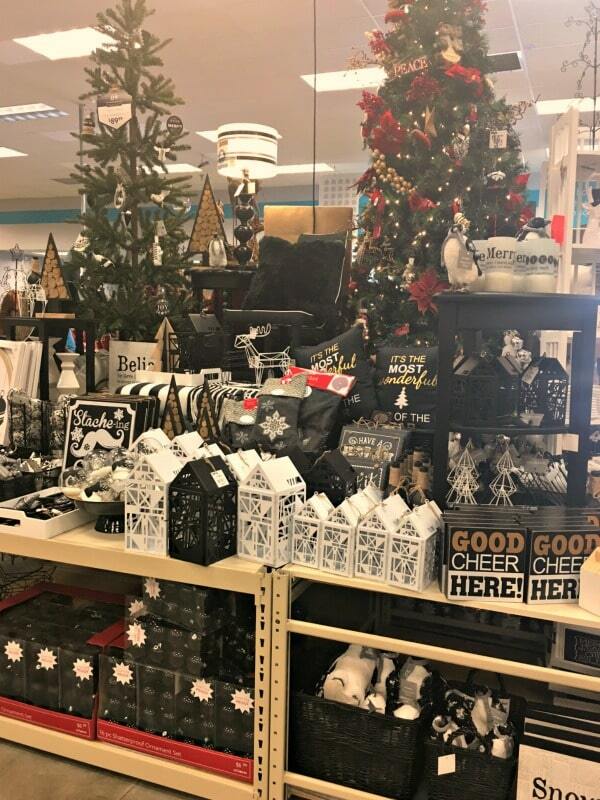 I mingled new items like adorable tinsel trees and holiday throw pillows with some of our other decorations like lighted garlands and figurines. I love the nostalgic look of this scene. It makes me think of comfort and joy and old family traditions like making our yummy stuffing recipe year after year. I’ve always loved poinsettias, but with two curious kitties, I don’t feel comfortable having the real thing within reach since they are toxic to pets. 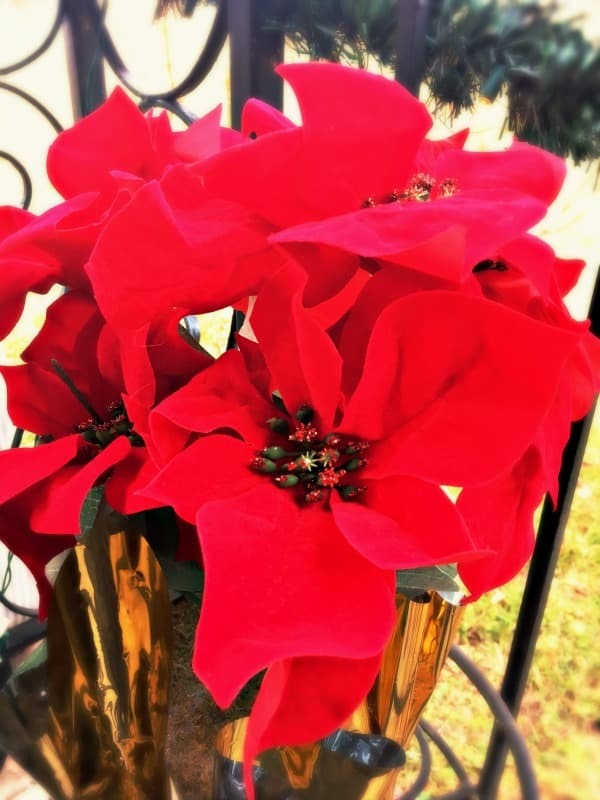 This artificial poinsettia is beautiful and looks great both close up and far away. I don’t have to sacrifice my pretty plants and Brick and Ron get to enjoy the porch safely. 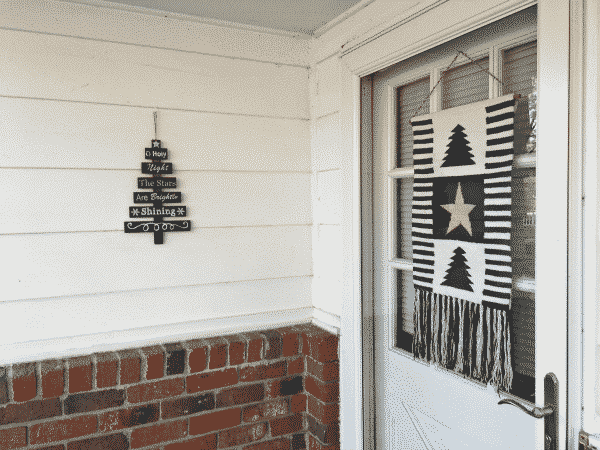 One of my favorite finds during my shopping trip is this woven black and white door hanger. 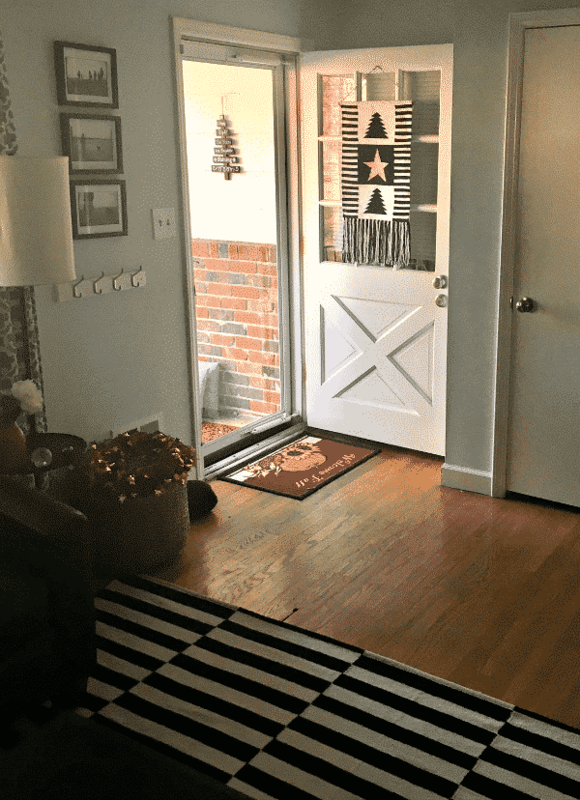 Not does it add a little modern flair to my front porch makeover, but it just so happens to match our living room rug perfectly! Coming home after dark from an evening downtown the other night, I loved seeing such a warm welcome. 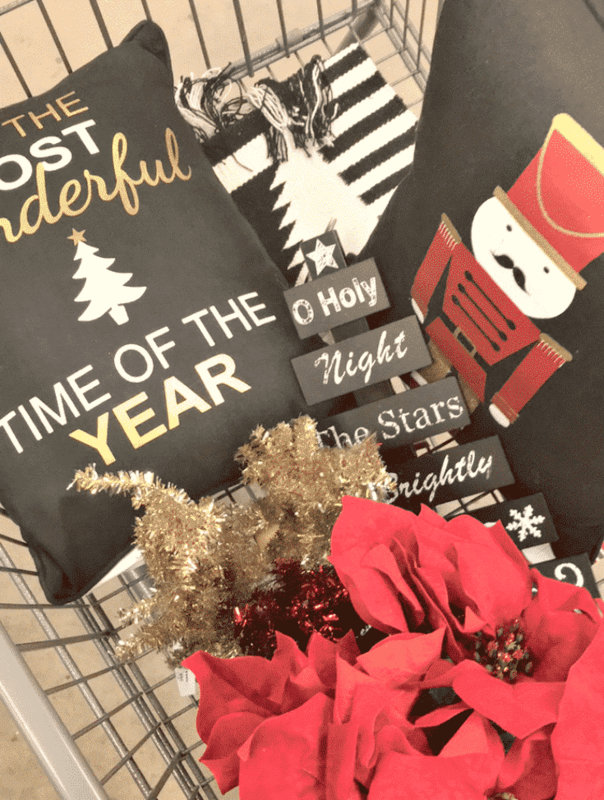 Whether we are entertaining or simply enjoying our home, I always want to have this welcoming feeling, which means I need to come up with more ideas for after the holidays because I’m going to miss this! 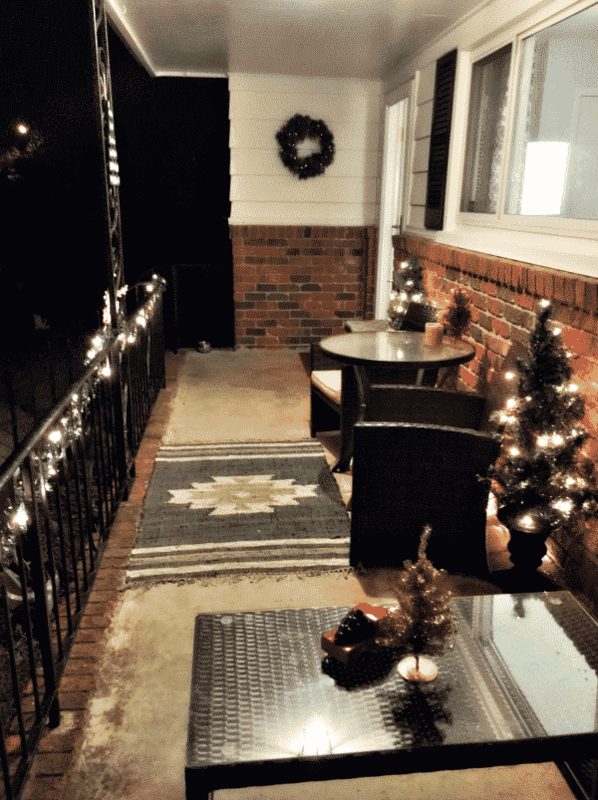 I’ve always admired Christmas decorations and I love driving around at night looking at homes all lit up, but my holiday front porch makeover makes me smile every day. It’s simple and I am enjoying it so much! 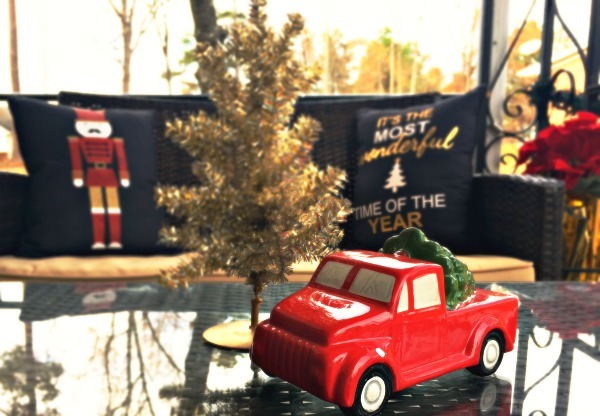 What’s your favorite area to decorate for the holidays? Is your style traditional, modern or a mix of both? Like it? Share or save for later! 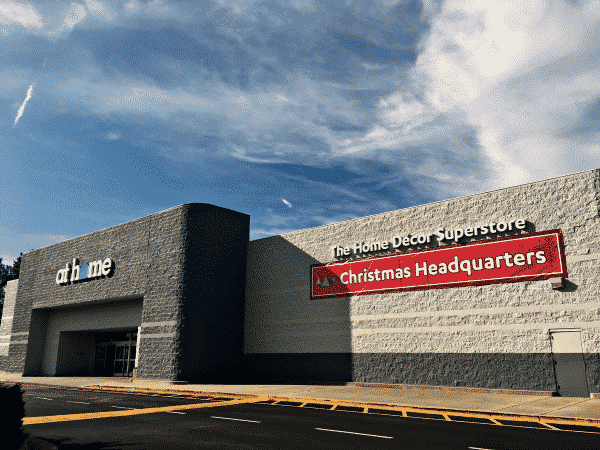 This post is sponsored by the #AtHomeStores #MyReason campaign. All opinions are my own.